First batch of processed chicken breasts of a Dong Nai-based poultry company will be sold in Japan in July, according to the Animal Husbandry and Veterinary Branch of the southern province of Dong Nai. 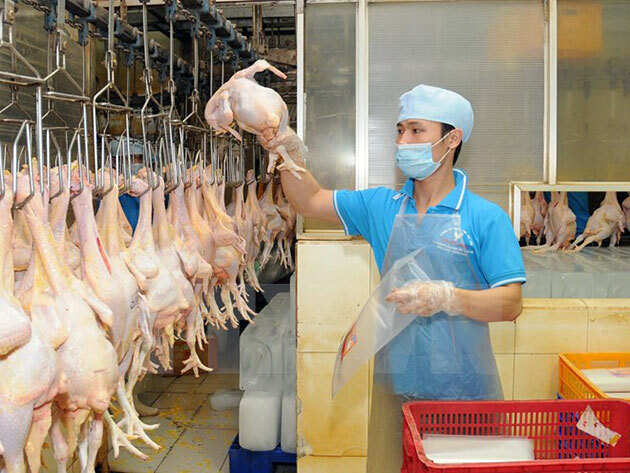 The Koyu & Unitek Co., Ltd, located in the Long Binh Industrial Zone, has to form a closed production chain ensuring food safety to meet its partner’s standards, according to the Gon Giai phong (Liberated Saigon) newspaper. Koyu & Unitek will export about 300 tonnes of chicken breasts to Japan per month. The southern province of Dong Nai is home to 16 million farmed chickens./.